We’ve been known to describe Bottega Café as Bottega’s more affordable option. Which is true–entree prices average a good $10 lower on the café side–but almost missing the point. Where Bottega is a tailored fine dining experience, Bottega Café is the everyday foodie option. Still, the magic of Frank Stitt’s fine dining is that he’s also carved out entry points. Like the blend of historic apartments and grand homes in the Five Points South and Highland Park neighborhoods surrounding Bottega and Bottega Café, there’s something for everyone. Wherever you are on your professional course, there’s a version of the Stitt experience you can (and really should) manage. It’s the easy fun of Five Points mixed with the grand influences of Highland Park. It’s also emblematic of the way Frank Stitt has helped define the Birmingham food scene and, with it, the city. He’s famous for his fine dining, but, as the Birmingham Business Journal reported in 2013, Stitt also helped lay the track for our city’s accessible foodie finds. The big flavors and easy atmosphere of places like Trattoria Centrale are rooted in Stitt’s food culture. Like so many Birmingham buildings of its era, there’s a reverence for the old coupled with ideas of its age (see also: the John Hand Building). 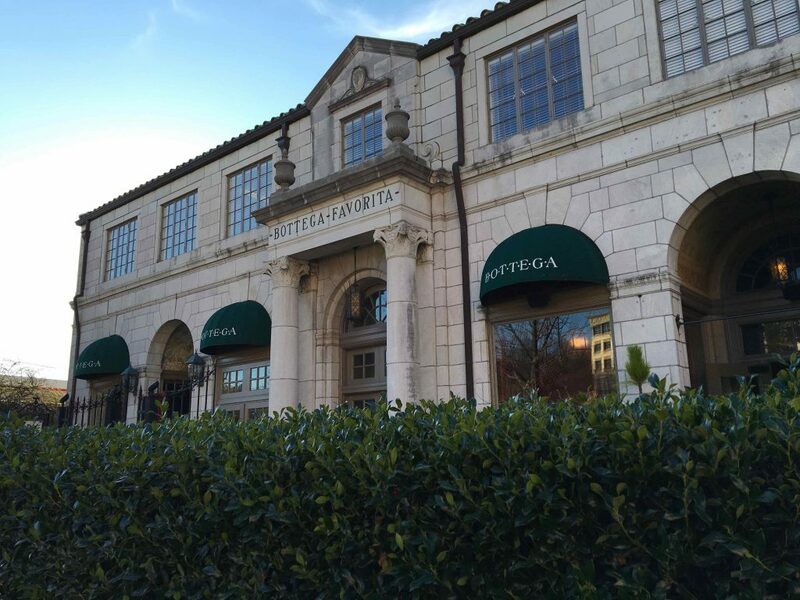 And Bottega’s food, described on the restaurant website as a blend of Italian traditions and Southern foodstuffs, is the ultimate example of revival style on a plate.